Why using AM4 compatible coolers for Threadripper is not optimal! AMD’s threadripper CPU’s, respectively the AMD Ryzen Threadripper 1900X, 1920X and 1950X are physically very large cpu’s, almost twice the size as a regular Ryzen AM4 or Intel Core i(x) CPU measuring a fat 45 x 70 mm. Just before the launch of the Ryzen Threadripper cpu’s back in August 2017, cooling manufacturers rushed to introduce their TR4 based coolers. 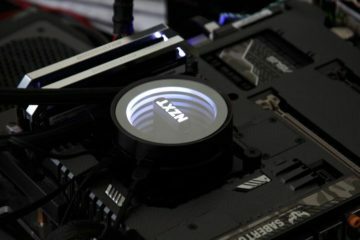 These cooling solutions, often based on smaller existing AMD AM4 designs included additional mounting brackets, making the coolers fit the TR4 socket. In the end adaptation was more or less a compromise not covering the full IHS, making heat dissipation more difficult. (see image below of Gamersnexus). Towards the end of 2017 we saw specific TR4 coolers hitting the market, covering the full IHS in both liquid and air cooled variants. 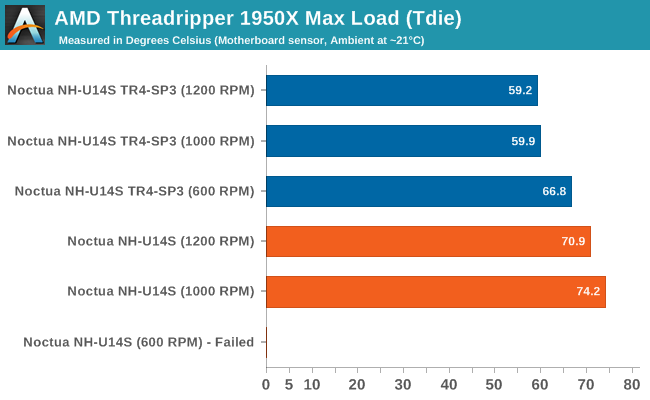 Anandtech released an interesting review regarding the use of adapted AM4 coolers for AMD’s Threadripper cpu’s. 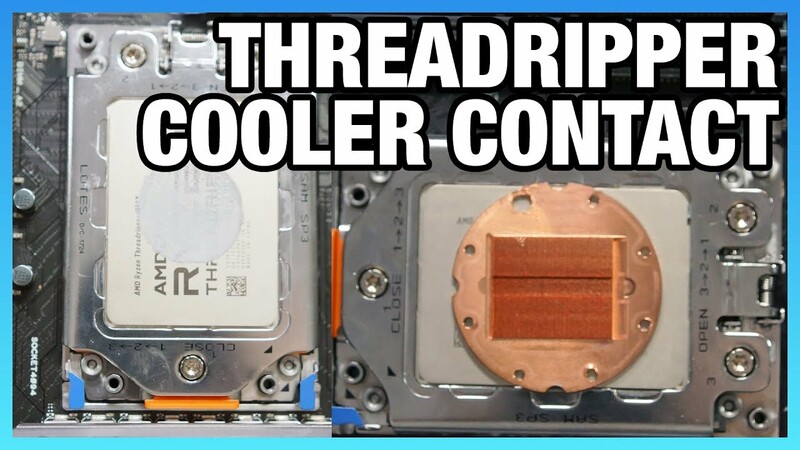 Temperature differences running an air cooler specifically designed for Threadripper cpu’s, v.s. one with adapter plates, can be as large as 10-15 degrees under load. Visit Anandtech for the full review and benchmarks. So, think twice before buying a cooler that’s not primarily designed for Threadripper. 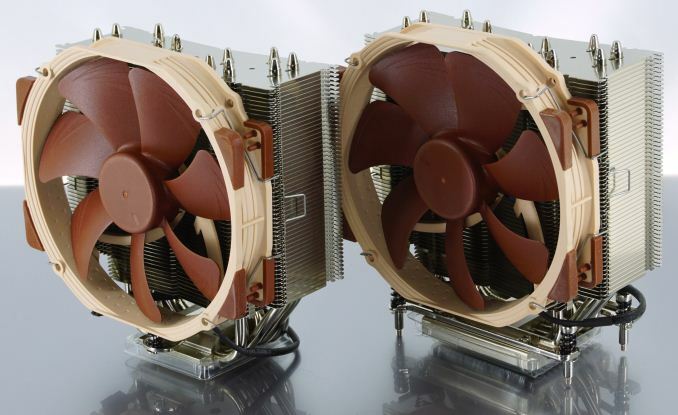 The coolers compared in the review are the Noctua NH-U14S (not fully covering the IHS) and the NH-U14S TR4-SP3 specifically designed for Threadripper. We can imagine using a ‘compatible’ cooler with a lower TDP as a NH-U14S will give you even higher temperature differences compared to the NH-U14S TR4-SP3. Today only the Arctic TR33 and Noctua NH-U14S-TR4-SP3 have full contact blocks. In the liquid cooling department there are only dedicated waterblocks of EKWB. Other than that all AIO’s are AM4 compatible coolers with brackets not fully covering the IHS.